Monica Lewinsky, the former White House intern who rose to fame for having an affair with President Bill Clinton, gave the headline address at the TED2015 conference in Vancouver on March 19. She spoke about how that event 17 years ago has haunted her ever since. 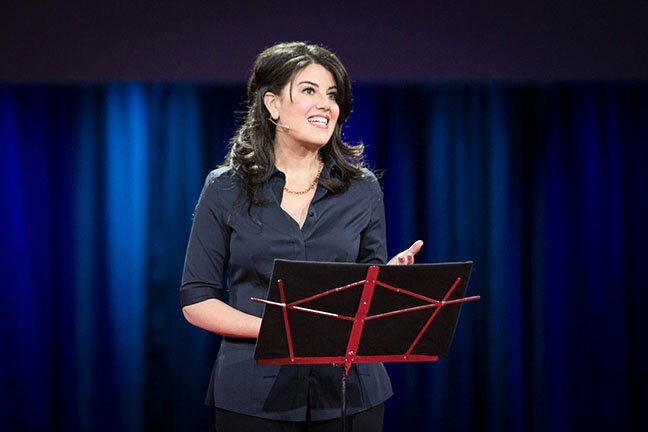 Monica Lewinsky advocated for a safer and more compassionate social media environment, drawing from her unique experiences at the epicenter of a media maelstrom in 1998. In recent years, Monica Lewinsky’s name has appeared in dozens of songs: by Kanye, Beyoncé, Eminem, Jeezy. The list goes on. Monica Lewinsky is also the title of a song by the rapper G-Eazy. Monica Lewinsky had hardly appeared publicly for a decade. Now 41, the former White House intern once famously dismissed by the president as “that woman” holds a master’s degree in social psychology from the London School of Economics. Mostly Monica Lewinsky has embraced a quiet existence: doing meditation and therapy, volunteering, spending time with friends. Monica Lewinsky wrote an essay for Vanity Fair magazine about the aftermath of her affair with President Bill Clinton.